Rustic, lodge style 5 bed, 3 bath home built in 2015 that sits right on the waters edge and is surrounded by nature. Custom built with love, this house was designed to be as low maintenance as possible with a rocked yard & composite decking. Bathrooms, cabinets, counters, and more have all been perfectly united to bring a cabin feel to this spacious home. Features include a loft bedroom, sun room, large pantry, french doors, game room, a huge storage room and unique accents. Included is a two slip dock with 7,000 lb. & 4,500 lb. lifts, a swim platform, fish cleaning station & a storage shed located in the no-wake cove. The furniture is custom made and can be included for extra cost. Lower level deck is covered with dry below system and wired for a hot tub. Sit lakeside, roast s'mores and enjoy the campfire. Additional highlights: crown molding, glass etchings in each walk-in shower, a Heatilator fire place with custom carved mantel, lower level wet bar, and two hvac systems. 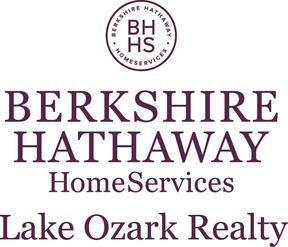 I am interested in 355 Admirals, Climax Springs, MO 65324 (Listing ID # 3511253).